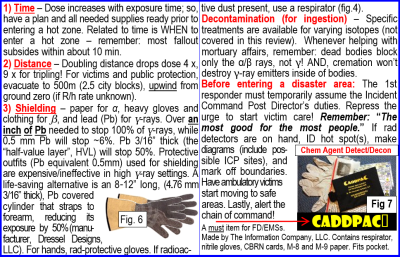 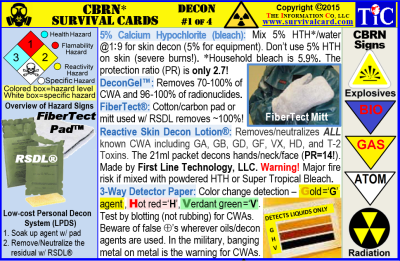 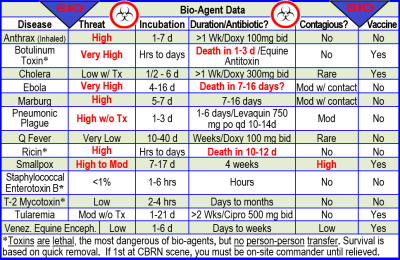 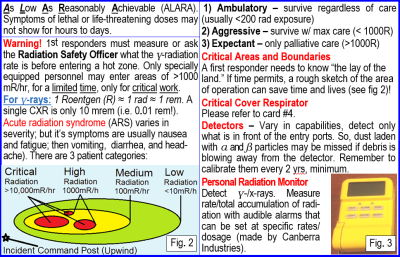 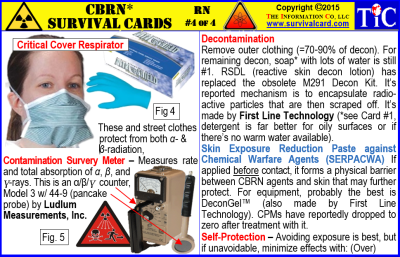 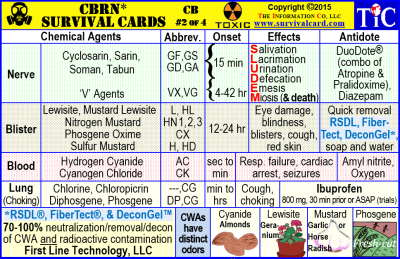 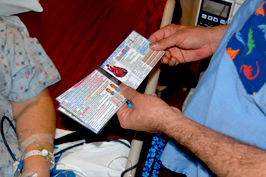 The CBRN Survival Cards consist of a four card set of the salient points of chemical, biological, radiological and nuclear warfare or a MASCAL event that involves any of these four areas. 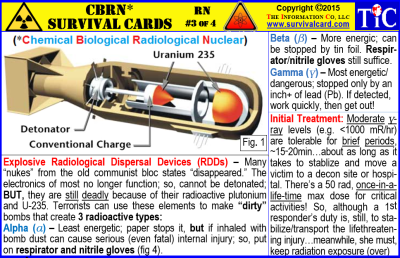 Card #3 outlines some of the basics of radiations, actions to take immediately afterward, and important contacts to make. 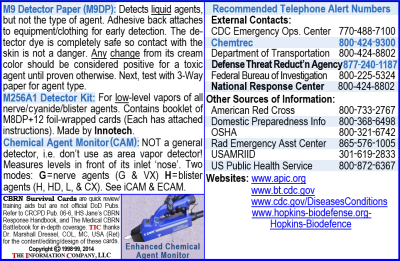 Card #4 describes some of the detection equipment available for chemicals or radiation, a little more on decontamination issues and some on protection measures.